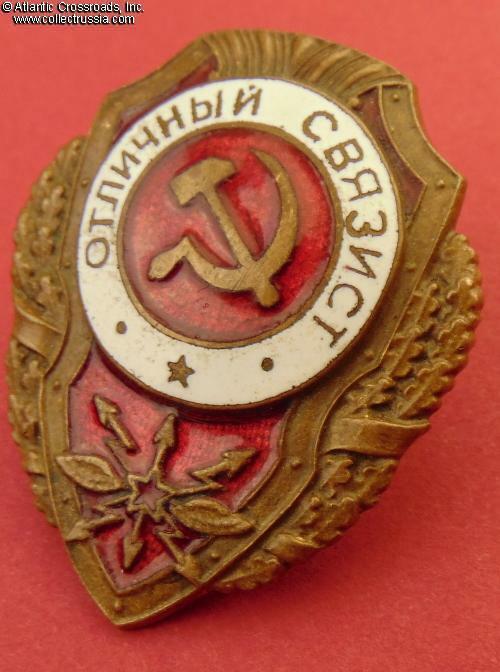 Excellence in Signal Corps badge, "First Unified" type by Pobeda Factory, early 1950s. 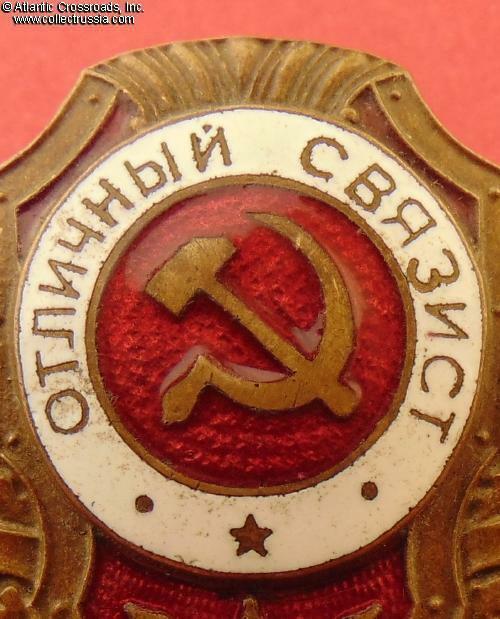 Brass, enamels; 45.4 mm x 36.7 mm. 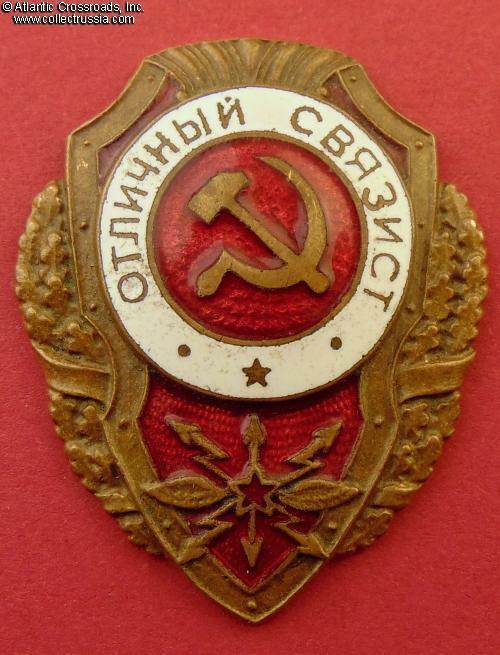 This is one of the last versions of the badge, "First Unified" type according to the Airapetyan's classification. 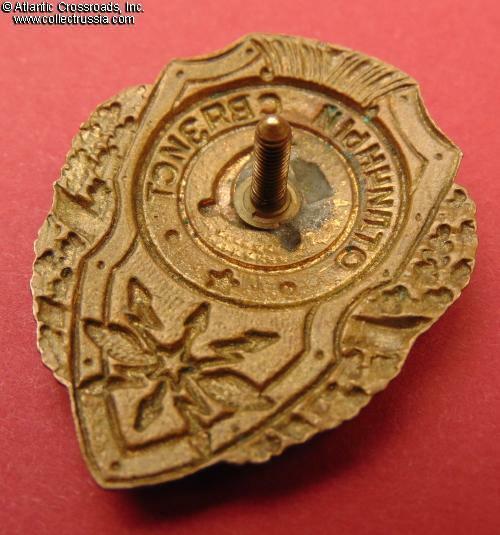 This particular variation features domed center medallion and raised wings in the signals emblem. In excellent condition. The red enamel retains beautiful luster throughout and has only a few tiny contact marks practically unnoticeable without magnification - otherwise perfect. The white enamel has minor contact marks and a couple of tiny flakes that are also practically invisible to the naked eye. The details of the wreath and emblem are perfectly preserved and crisp. 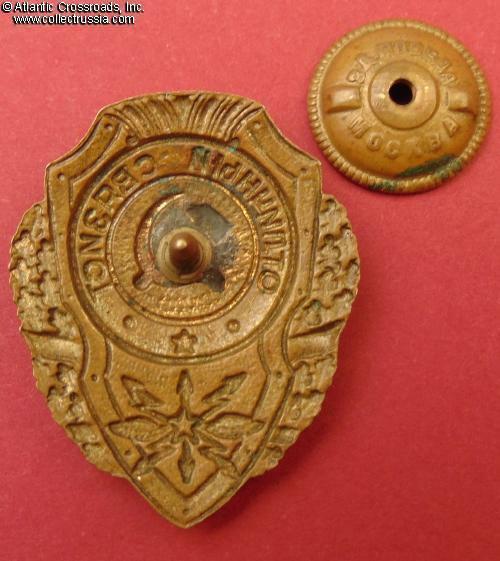 There is attractive even toning to the brass on both sides, no blemishes. The screw post is full length, approx. 11 mm. 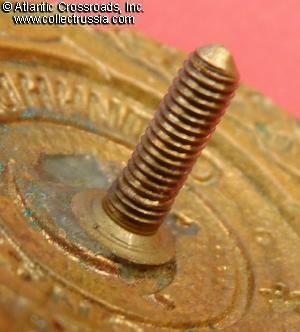 Comes with original Pobeda Factory screw plate. 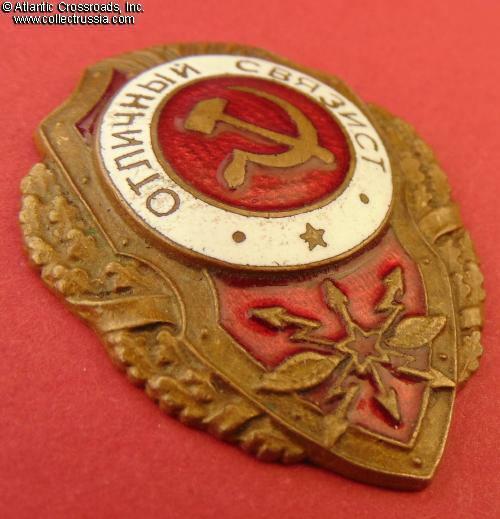 /"Breast Badges of the Red Army, 1941-1945", p. 112, fig. 12/.